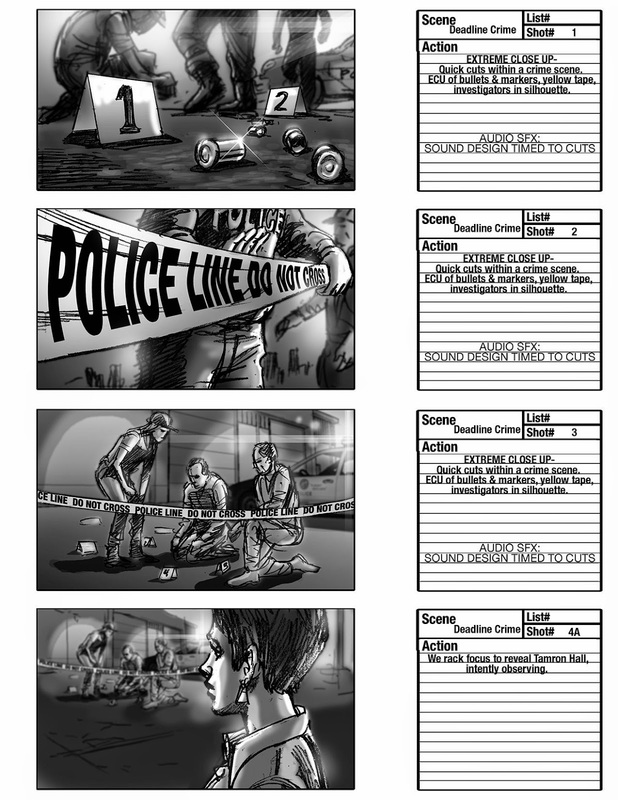 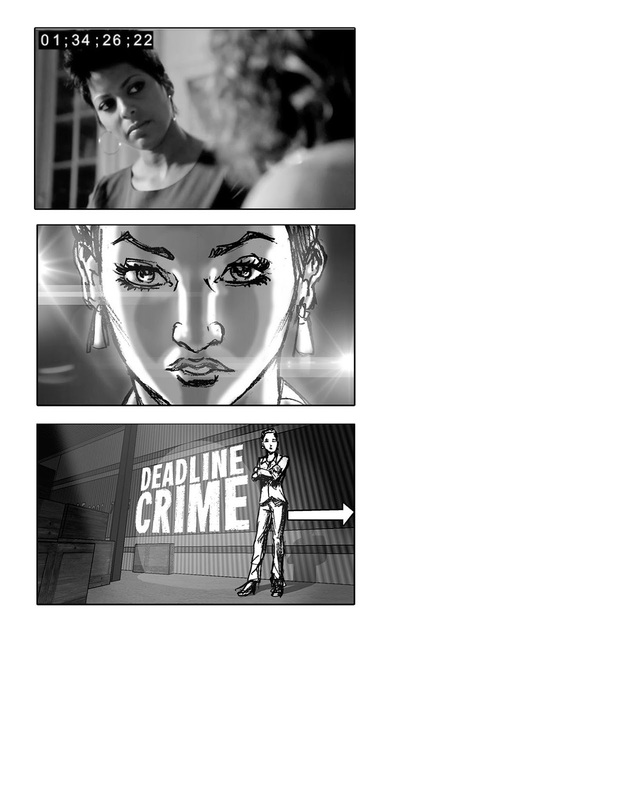 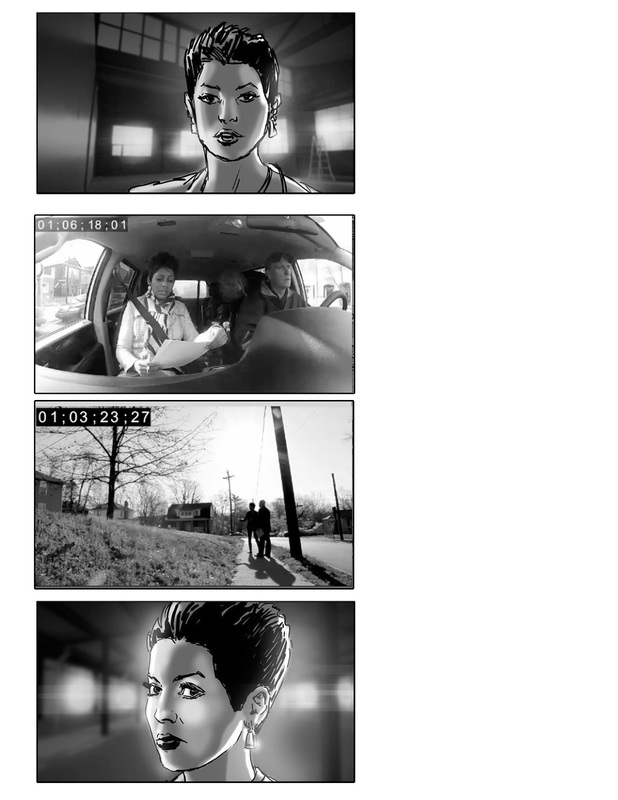 Here are storyboards for a commercial promoting ID's show Deadline Crime with Tamron Hall. 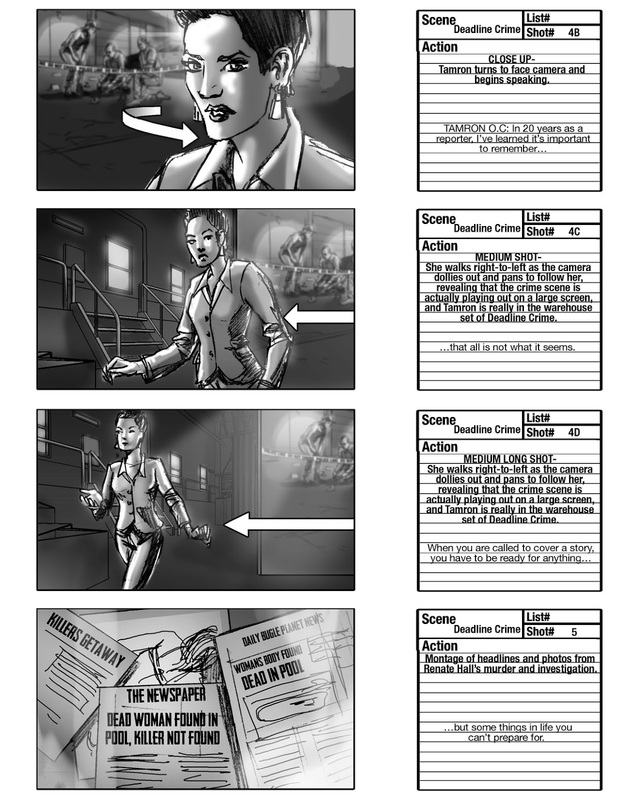 Here's an example of changes throughout the pre production of this spot. 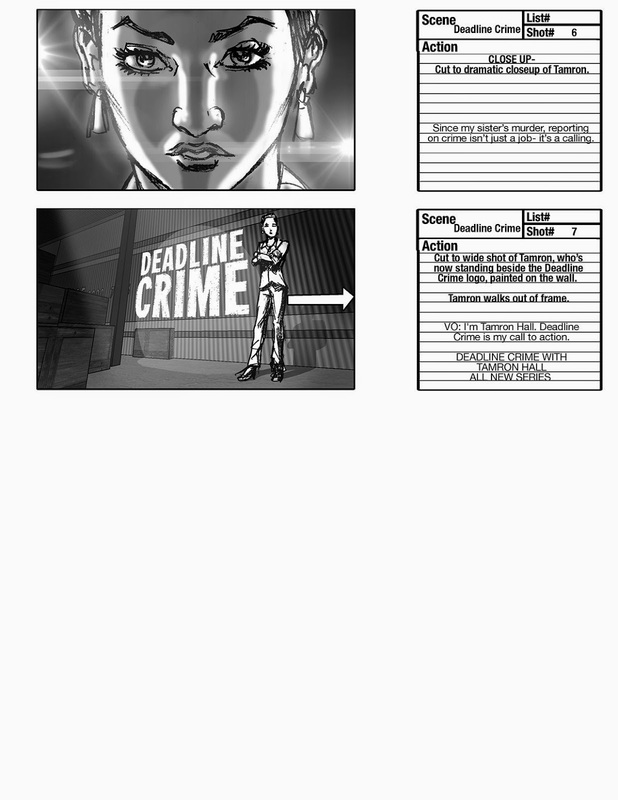 The beginning boards show the initial idea for the commercial, a piece focusing on transitions, but then the spot was cut down to something simple inter cut with video from the show.